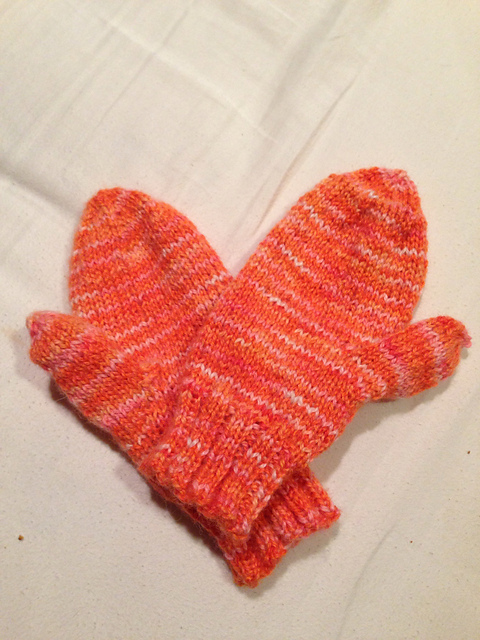 Made for my son who is 8 years old‚ who found this yarn at a craft fair and asked me to make mittens. They fit his hands nicely. I cannot take credit for this pattern‚ it is based on the StarStruck Mittens‚ which is available for free on Ninapetrina’s Creative Corner. I have subtracted the star pattern and converted the measurements to inches for American knitters. In addition‚ I used the Kitten Knits thumb technique which uses waste yarn to pick up live stitches as an afterthought. The boys of Omega Kappa at Disney’s Monster University have great knits. Squishy‚ Terri and Terry wear the best sweaters. And my favorite‚ Art‚ wore the coolest leg warmers ever. They are so cool I had to make them‚ and now you can too with this free knit pattern! sew up seams on both. If you love this as much as I do‚ please be sure to share it. 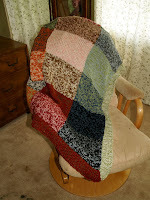 And be sure to check out the rest of my free patterns and craft projects available here. search the site for similar items. see what people are calling it‚ how well they are selling‚ how much competition you would have. think of a descriptive and memorable shop name‚ then do a etsy/google search for it. see if anyone else anywhere is using it. If so‚ try something else. You want to make it easy for people to find you by being different. take great pictures close-up of the bracelet on a plain white background as well as on a wrist. think about who would wear the bracelet and write a description with that person in mind. Is it retired women going to a formal function or teen boys who ride skateboards? Give as much detail about the bracelet as possible. Will be you be taking returns? How will you be shipping? could you do custom orders? Be sure to write this information in you policies section. USE ALL YOUR TAGS. I cannot stress this one enough. This is how people will find your bracelet amongst the gazillion listings that go up every day. tell everyone you know to tell everyone they know about your shop. twitter‚ facebook‚ myspace‚ youtube‚ and anything else you know about because you are young and know much more about this stuff then we do. list 1 every day and experiment with how you list them to see what gets the most views. like one could be under jewelry while another is under accessories. in the end the one listing will only cost you 20¢ but you are going to have to make at least 10 to be taken seriously. What advice would you wanted to have before you opened your shop? When something works the first time‚ you do it again‚ right? The same can be true of a knitting pattern. Several years ago I made this adorable blanket from the remnants of yarn taking up valuable real estate in my craft room. It is by far one of the largest and most loved items I have ever knit. So why not do it again? I will update this post when I finish the blanket. I hope you are as excited as I am about finishing up your first of two fingerless mitts. Missed the rest of the class? Well you can catch up now: day 1‚ free pattern & casting on‚ and day 2‚ the knit stitch. So you have followed the pattern‚ you have knit and you are ready to cast off. Now its time to watch the video and learn. If you need the pattern or you missed the first lesson on Casting On‚ be sure to check out day 1.